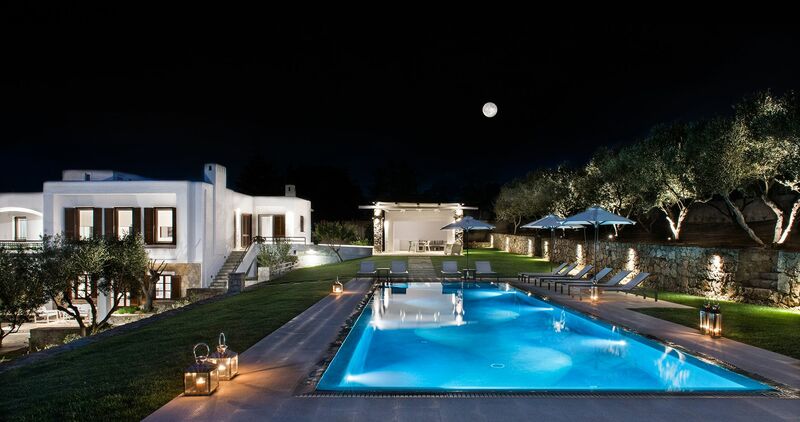 Villa Oleander is situated in a hilltop countryside location very close to the sea and the town. 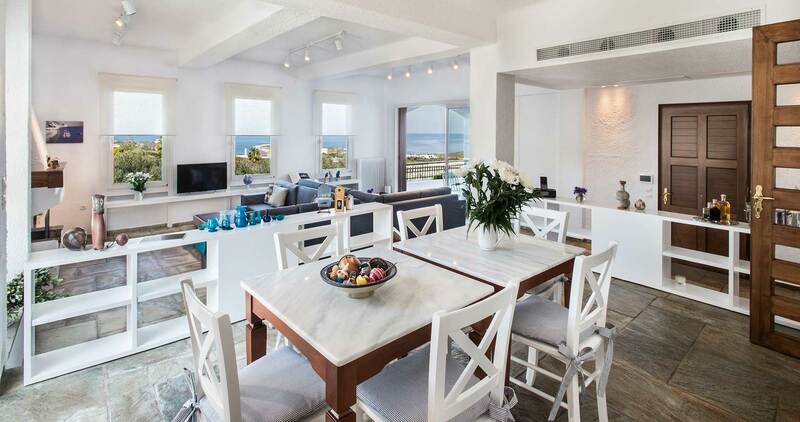 With its generous spaces, wonderful amenities and its multifaceted character amiable to all ages, this property is an ideal choice for big family gatherings or larger groups looking to enjoy a memorable summer experience and the best the island has to offer. There is easy access to the numerous beaches around the area and it is a wonderful setting for leisure and sunbathing by the pool. It is located in the Akrotiri Peninsula, at just 7,8 km far from the town of Chania. Composed of two independent units, which could accommodate up to 16 persons (14 adults & 2 children), both are designed to offer supreme accommodation in their bright and ultra-sized interiors. The villa consists of 7 bedrooms and 4 bathrooms. Villa Oleander has been thoughtfully designed to pamper guests with all comforts engaging meticulous taste, as well as automated technology that simplifies the overall living experience and fulfills your every single need. A careful blend between modern and traditional yields sophisticated results and creates an ever-stylish fusion. The attention to detail is striking and consistent throughout the property. Outdoors, summer unfolds at its best: a magnificent open-air setting equipped with a wonderful swimming pool with salt water systems, an inviting barbeque area and a dining area shaded by a pergola. 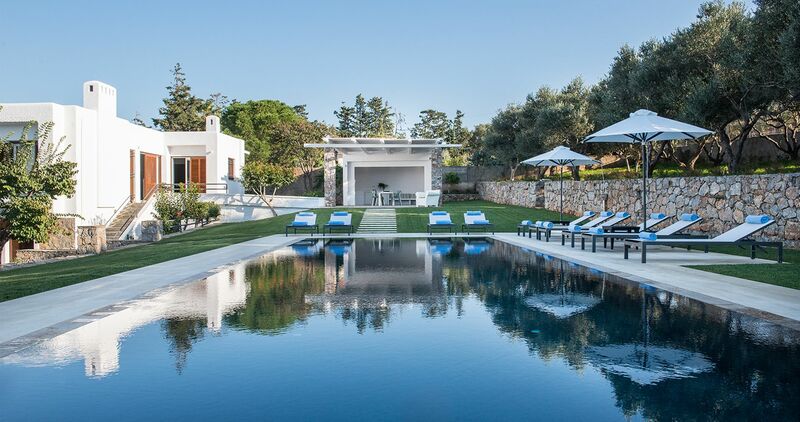 The villa is surrounded by a large garden with plenty of olive trees, aromatic herbs and flowers planted throughout.